MythBusters Part 3: There are Spiders and Cockroaches Living in WamBam Fence Posts! Will Your Architectural Posts Really Collect Dirt? Many customers say that besides the ease of installation, what they love most about our vinyl fence is the architecturally designed posts. The truth is that they don’t collect dirt any more than a normal vinyl post. As a matter of fact, the picture you see above is a smart phone shot of a post that was installed about 2.5 years ago next to a gravel driveway which is adjacent to a recent construction site. And it’s never been hosed or wiped down. As for insects….hmmmm. This could be true. They love to eat vinyl fencing of course, right? Wrong. We don’t think insects would find our fence posts palatable, and we’re really not sure how they could hibernate in the groove. We’ve certainly never had a complaint about this. That’s right- not one, not ever. That being said, they might be able to hide themselves up inside the post cap where there is an opening created by the groove in the post. But again, we have never had anyone ever mention this to us as a problem. If they did, we could and would solve it. The other thing about our four-way posts is that they not only look great, but they are also designed for simplicity. You don’t have to purchase different posts to terminate a fence run , handle a corner or an in-line application. It also makes the installation much more forgiveable because you don’t need to worry about lining your horizontal rails up perfectly to brackets or routed holes on your posts when installing your fence. 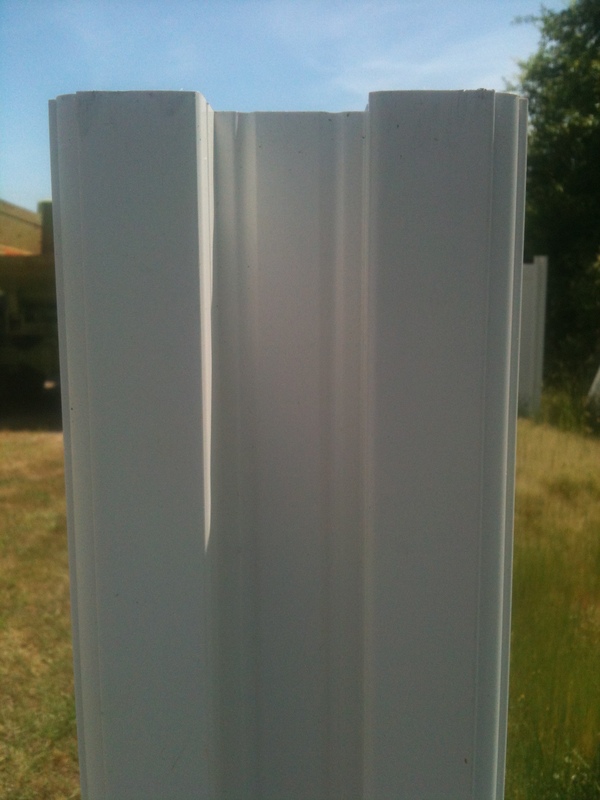 At the end of the day, you may prefer a more plain vinyl fence post, and that is 100% okay with us. We can’t control anyone’s personal preference on what’s aesthetically pleasing or not. However, we can say with confidence that our posts don’t attract dirt more than average posts and they aren’t a fast food joint or motel for insects, either! MythBusters Part 1: WamBam Fence is a Joke!